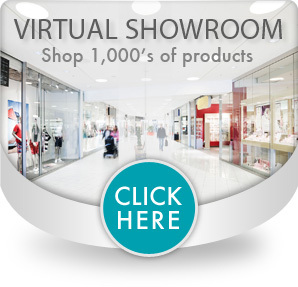 Trim and shape for truly custom progressive positioning. 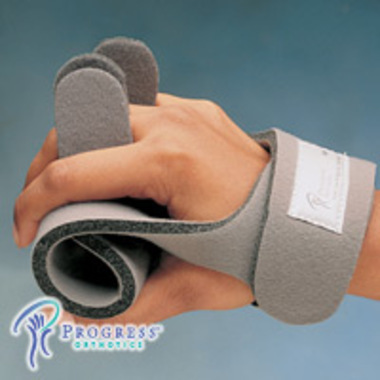 Progress™ Palm Protector Orthosis is made of 3/8" (9.5mm) thick, high-density foam covered with soft fabric and a hook and loop closure. 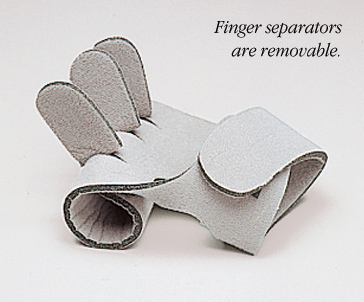 Removable finger separators offer finger abduction to assist with tone control and hygiene. Fold or roll the palmar flap to achieve the desired thickness. 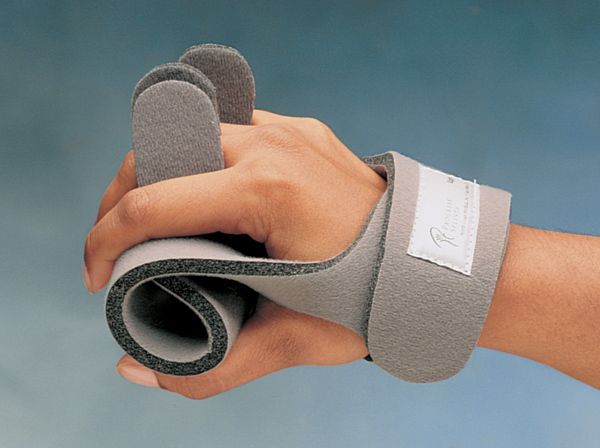 When rolled, the flap can accommodate a small cone or cylindrical foam to ease the hand out of a flexed posture. One size fits most. Can be trimmed for a custom fit.